Here's some analysis of the holding period of my trades vs. the actual and potential profits. 31 trades so far in this series, 9 of them profitable. 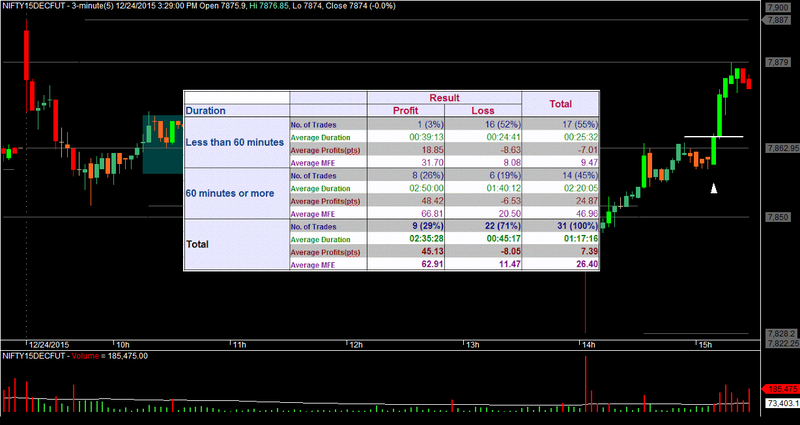 Of the profitable ones, only 1 had a holding period of less than 60 minutes - trade 3 on Tuesday. 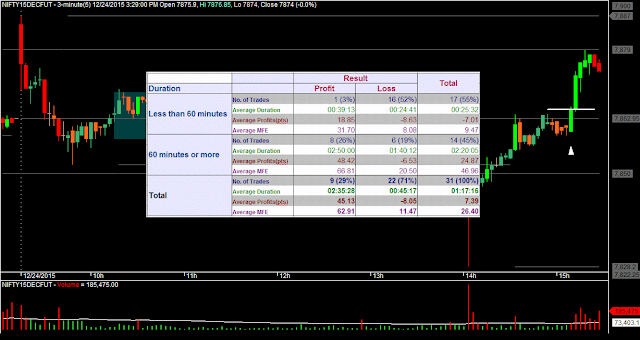 94% of the trades held for less than 60 minutes resulted in losses. So, is it anything of significance? I guess not. I think it is just that I did not get into any trades that zoomed into profits and reversed significantly within an hour. Lazy Nifty! For the profitable trades, the average MFE is 63 points, and on average I have booked 45 points out of them. Not bad! For losing trades of less than 60 minutes duration, the average MFE is 8 points, and on average I have made a loss of 9 points on them. That's nearly OK for the kind of system that I am trading. But for losing trades of more than 60 minutes duration (there were 6 such trades), the average MFE is 21 points, and the average loss is 7 points. This is certainly a concern. On the average, here I am giving up 28 points to book a loss. I hope that the aggressive profit locking that I adopted this week will improve this statistic. As usual, this aggressive profit locking will also have negative impact in terms of shake outs, and probably increase the number of trades. 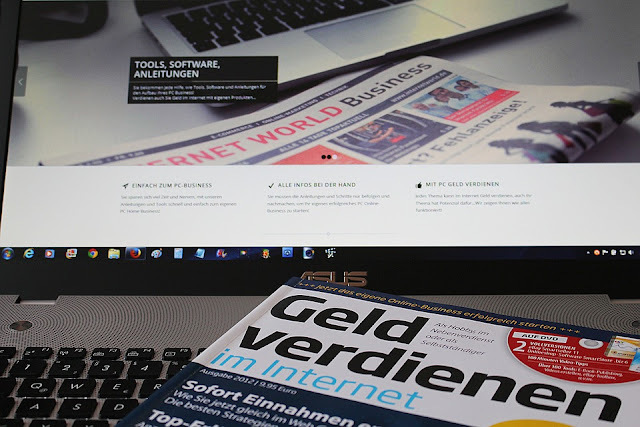 Glossary: MFE stands for Most Favorable Excursion, which means the most profitable point during the duration of a trade. See the definition at MyPivots.